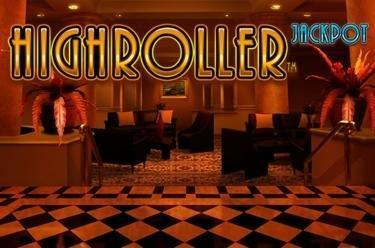 Play Highroller™ Jackpot online for free now! Money is no object for your companions in Highroller™ Jackpot. Enjoy pure luxury with the high society, as you speed around in fast cars, tanking up on Twists. But make sure you keep an eye on the diamonds while you’re at the wheel - if you collect enough of the precious stones, you’ll be granted access to the Free Games and given the chance to win two jackpots! 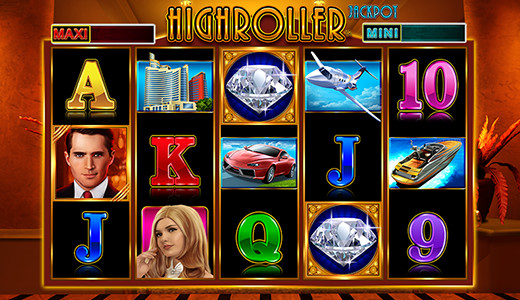 How to win at Highroller™ Jackpot: Land 5 identical symbols, one directly after the next, along one of the 25 win lines. The lines start on the left reel, continue across the reel set, and end on the last reel on the right. The wild symbol is the high roller (gentleman symbol). It replaces all symbols in the game except for the scatter (diamond) to complete any win line. With three or more diamonds in any position on the reels, you’ll win 10 Free Games and two chances to land a jackpot. At least three scatter symbols (diamonds) on any reel position trigger 10 Free Games with the stakes of the basic game. If the high roller symbol (gentleman symbol) appears in the Free Games, all other symbols on the same reels will also turn into high roller symbols. You also collect diamonds during the Free Games: The more diamonds you win, the more spins you will get in the Jackpot Spin Feature, which will begin after the Free Games. You cannot win further Free Games in the Free Games round. Depending on how many diamonds you collect in the Free Games, you will get 1 to 5 spins in the Jackpot feature (you can find the exact number in the winnings table in the game). If 3 MINI symbols land on the middle line of the reel, you’ll win the additional jackpot. If 3 MAXI symbols land on the middle line, you’ll win the MAXI jackpot. The size of the jackpot depends on the stake.